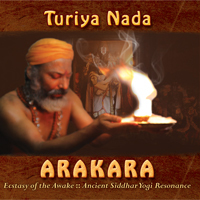 This special album, Invoke the Masters is the continued inspired breath of Cave of the Siddhars. Invoke the Masters has been described as a ‘notch’ more powerful than Cave of the Siddhars. – ‘Inner Aum’ to invoke the Goddess energy and stimulate the ‘moon breath’ to create harmony with the kundalini awakening- Track One. – The sacred experiences of the pilgrimages to the sublime realms of the enlightened yogis that are conveyed through the chants. – Potent Siddhar chants that are for the first time coming out of the inner circle. These chants are transforming and being immense energy fields, the listener’s inner and outer realities become Source aligned. – A 10 page booklet that provides insights to each track and the interesting wisdom of the mystical Siddhar yogis related to each mantra chanted. – The invocation of 210 Siddhars, the Beings of Light is by Siddhar Rajaswamy carries with the invocation, the secretive location where each of these Masters meditated through their life. The details of the invocation is mentioned in the booklet. “Only when humanity worships the Goddess does humanity ascend”, observe the the Siddhars Sages, the mystic yogis of South India who journey beyond enlightenment. Experience the Inner Aum of the Goddess! Challenge to the Yogis (The track Six of VaSi): Today’s yoga in the West especially seems to ignore the rich treasure that is within a yoga practice. Yoga is not about being the most flexible or strong but about transcending the limits of the body and mind to be one with Source through breath. The ancient yogic wisdom of the science of breath is called ‚ÄúVasi yoga‚Äù. This secretive yoga teaching is the culmination of all the techniques put together through our yoga practice to reach a place where we have been able to experience the state of higher consciousness beyond the mind and we are able to glide in the realms beyond breath. Nandhi wishes to gift you a painting that has the Vasi mantra for you to sing along. Track 1: Siddhi Ganapathy: For those serious about the inner journey, Invoke the Masters contains a rare sound recording on this track , A Siddhi Ganapathy and the “INNER AUM” The chant of the Inner Aum is an ancient Siddhar technique, never before heard of in the Western yoga world till date. It is the high pitched sound in the track. The Lord of Success. Let’s begin the inner journey through the sacred resonance setting alight the inner lamp of the root chakra! The Magical moment of the awakened moment of NOW! Track 2: Siddha Namah Sivaya: One of India’s foremost Sage, Sri Adi Shankara, re-awakened the ancient wisdom of “Advaita”, the essence of enlightenment. Advaita means Oneness- everything is God, all that is, is God, each of us are God. Track 4.: Nambi Hills: This is an ancient spiritual center in the Siddhar wilderness, where beings of light congregate. Experience the joys of light through the presence invoked through the energies of this music! Lord Muruga is the Son of Lord Siva, born through the third eye. He is represented as the six-pointed star (as in the Star of David). In this, again, we see the importance of the triangle from another view. The inverted triangle is Sakthi (the body, or the manifested), and the ascending triangle is Siva (the Spirit, or the unmanifested). It can also be seen as the joining of the yoni and the lingam (the female and male primal energies that creates and sacred void through which all is absorbed to simply be). The center of these two triangles is the void that is both the pregnant womb below, and the third eye above, where all the potential of the Kundalini force has now opened and matured and can be used to manifest in either the physical or spiritual realm. In the Siddhar path, Lord Muruga is worshipped as the Guru to all Gurus. As the immortal, eternally youthful teacher, the presence of Lord Muruga is the awakened Kundalini within us. Lord Muruga carries a “Vel” (a lance). The Vel symbolizes ‚Aúsushumna‚Äù or the ascending Kundalini fire that moves through the spinal cord. A journey to climb up to Siddhar Bhoganathar’s shrine and experience the joys of the awakened Kundalini as in the form of Lord Muruga, the golden fire within. Nandhi’s chants and the didgeridoo. After several years of being with his guru, Siddhar Rajaswamy was asked by Siddhar Thalaiyattinathar- “Recite your inner mantra”. Siddhar Rajaswamy immediately began reciting various Goddess mantras and other mantras that he felt was close to his heart. Each time a mantra was recited, Siddhar Thalaiyattinathar would say, “No. Keep quiet”. For several months, Siddhar Rajaswamy wondered what the inner meaning of this immense question was. One day, Siddhar Thalaiyattinathar told Siddhar Rajaswamy, “Any mantra recited creates energy that goes back to the person who gave the mantra. There are the inner mantras that emerge from our sub-consciousness. There are mantras that invoke the presence of the Masters. When we invoke the presence of the Masters of Light, should even one of the Masters grace us, our life is totally transformed. Recite the invocation of the 210 Siddhar Masters as a daily mantra and be transformed as a Siddhar yourself. These 210 Siddhars who we recite keep taking birth to reenter as human to take humanity to the next level. These 210 Siddhars have taken form as Christ, Swami Vivekananda and all the enlightened beings. Recite the invocation and may their presence be a blessing to all on earth”. The sacred gathering’s chorus of “AROHARA” at the end of each invocation means, “We invoke the sacred presence of the divinity within ourselves in our inner fire”. “Arohara” is the inner fire we visualize as we allow the resonance to alight us within. Recite within yourself, “AROHARA” at the end of each invocation to feel and enjoy the presence of the beings of light in our life! A rare picture of Siddhar Sri Sri Rajaswamy’s guru, Siddhar Sri. Sri. Kakapusundar Thalayattinathar.